It’s inherently contradictory for a mainstream radio station to celebrate its hipness by promoting the “obscure” lineup of music it’s about to throw into rotation. That’s just not cool, man. Nevertheless, that’s exactly what this writer is doing. Why? Because truth be told, this writer has never heard of ANY of the four bands he’s tasked with blogging about. This isn’t anything unusual. Said writer goes to shows all the time thinking he MUST be the only sorta-fan showing up – only to find the venue packed to the rafters with much-younger hipsters who have been talking about the performer for years. Perhaps this is just one more frustration of growing old? Or maybe it’s just simple delusion. In any case, here’s some info on a bunch of bands that this writer would assume you’ve never heard of but which more than likely you’ve been following for years. 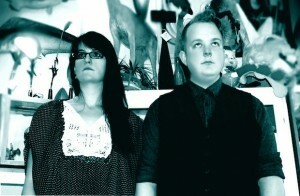 Oh, and by the way, the Trail 103.3 is featuring them all day Tuesday on this week’s New Tracks on the Trail program. –Glass Animals: New material from the indie rockers’ sophomore album, How to Be A Human Being. Set for release Aug. 26, the new album comes on the tail of a year’s worth of touring the world – 130 shows in 2015 alone, including all the big festivals (Glastonbury, Coachella, Bonnaroo, Lolla … you get it). 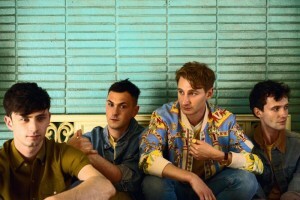 If you, too, have never heard of Glass Animals, check out the video for its first single, “Life Itself”. –North By North: A preview track from the Chicago blues rockers’ upcoming album, Last Days of Magic. Set for fall release, Last Days reportedly represents more of the same gritty garage jams for which this band was celebrated after its debut release, Something Wicked, a few years back. For the band’s self-description, check out this presser attached to the new album’s first single, “Pistoletta”. –Father John Misty: The new single, “Real Love Baby”, uploaded to Soundcloud in May and now being released as a single. Who is Father John Misty? Until 2012 he was the drummer for Fleet Foxes. Now he’s a fragile solo artist who apparently found his voice during a mushroom-fueled epiphany in a California tree. Both those sound pretty good to this writer. But then again, what does he know? –Norah Jones: The one exception to this week’s obscurity comes via Jones’ sixth studio effort, Day Breaks, which is set for release this October. The album includes nine tracks – three of them covers – and reportedly marks a return for Jones to the piano-driven sounds of her 2002 debut album, Come Away With Me. Enjoy the new music. It’s New Tracks on the Trail – all day Tuesday on the Trail 103.3. Thanks to Rockin’ Rudy’s for sponsoring!